Summer Newsletter now available online. If you are the parent or carer of a 2 year old (or nearly 2 year old) and you are eligible for any of these benefits we can ask our Parent Champions to call by on a home visit to complete the application with you. Alternatively we can support you here at the centre to complete the application, please ask for Andrea Vaughan. You may select your preferred nursery for your child to attend, this is parent choice. Parents/Carers of children who attend: Heyworth 1/2, Heyworth 3, Spencer and Cresswell are all invited. This will be an opportunity to discuss your child’s progress with their Teacher and/or Family Worker and to have a look through their Family Worker file. The National College for Teaching and Leadership are holding a Children’s Centre Leaders Network event here at Everton today. They will be in the hall all day. 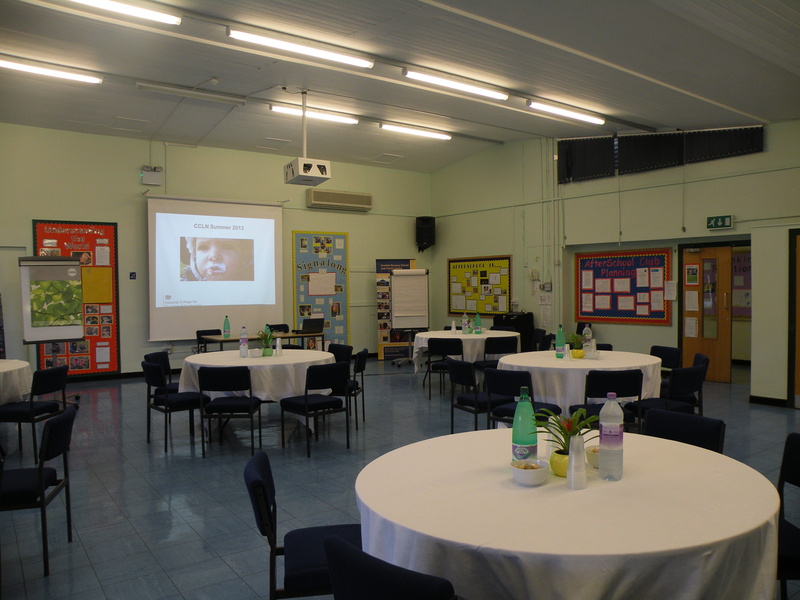 Here at Everton Nursery School and Family Centre we can offer rooms for meetings and conferences of all sizes. To enquire about a room booking please ring 0151 233 1969. 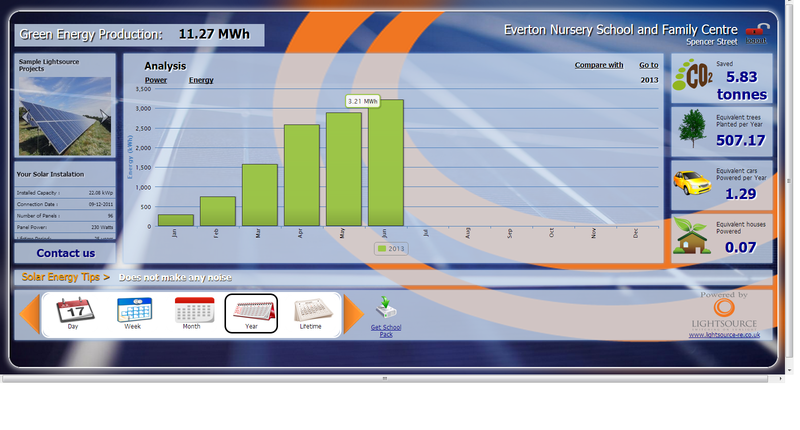 A massive 3.21 MWh was harness by our Solar Panels last month. This beats May’s record. Fingers crossed that July beats June.